Finding private accommodation as a student is a tough nut to crack. We’re told that you have to get in there early to secure a place because competition is so high. Unfortunately, the occasional dodgy landlord can play off this. As a result, finding a place can be a very high-risk operation and one that can go south really quickly if you don’t keep an eye out for red flags. But don’t worry Campusboard has got your back. Here are 9 essential rules to follow in order to avoid student landlord scamming and securing yourself financially. This is the most popular type of scam. 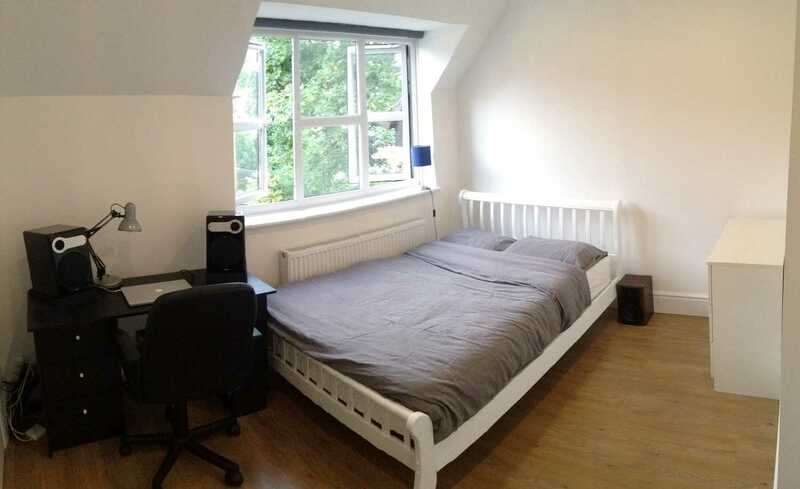 If you find a flat in central London for £130/week there’s a good chance the place has SCAM written all over it. It’s very important to be aware of the rental rates in your area of interest and ensure that the price you are offered doesn’t deviate too much from the average. Using Campusboard, you avoid scams, as the arrangement is between verified students only meaning you won’t find any fake posts. 2. Make no payments in cash! Never make any untraceable payments, whether it is a deposit or monthly rent and avoid wiring money. Western Union is among the most popular ways to scam. Legitimate landlords or agencies complete all payments via bank transfers, which provide proof of payment and financial security for both parties. Any landlord that requires you to pay in cash is cutting corners, whose to say that they won’t cut corners with you? Never rely purely on photos and description; they only portray the good angles and sometimes fail to mirror reality. It’s best to see it for yourself and make sure to always check for possible faults, from water and gas pipes to ancient furniture and mould. You’re not going to lose out by viewing a property. If anything, you’ll get more insight into the variety of properties out there and if, for example, one turns out to have issues, you will have first hand knowledge in what to look out for in the next viewing. Check out Campusboard’s website to discover the countless property listings by students that are available to be viewed immediately. NEVER settle for a “verbal contract”. This is a one-way trip to issues down the road. The landlord is required to provide a written tenancy agreement that contains all the information regarding the property, the rights and responsibilities of each party and the payment schedule. If they can’t provide a written contract, move on and look for another place. This can often get overlooked in the excitement and buzz of finding a place, however it is crucial to a safe and happy tenancy. Have a read through of the general rights and duties of both parties. You must signal any part of the agreement that is unclear or unfair and DO NOT SIGN ANYTHING until your interests are fully protected. This is without a doubt the biggest stinger for students. The deposit. You will be required to provide a lump sum which will be refunded at the end of the tenancy. Here you can find all the information regarding deposit payments and the appropriate management of that amount by the landlord. Make sure you know every detail of how the deposit is to be paid, secured and refunded in line with your tenancy agreement and contract. Always remember to go through the house thoroughly before you move in to identify any damage. If you do come across anything, report it to the landlord in an official manner, i.e in writing. Who better to give you advice than the people that have already rented the specific property? It’s very helpful and comforting to chat with the tenants, get their insight on the dos and don’ts of renting and find out how trustworthy the landlord is. In some cases they might even warn you against renting a property for a particular reason; something that you wouldn’t have found out through the landlord/property listing. If you can, DEFINITELY try to meet the landlord. The best way to measure the authenticity of both the property and the landlord is by meeting the landlord directly. To be extra safe, ask the landlord for some ID and always keep an eye out for the red flags. If the landlord: - has a poor knowledge of the property - shows a demonstrable lack of interest in the potential tenant’s background - tries to rush you to get the papers signed - attempts to glide over any issues with the property that you bring up. Most landlords tend to be be registered with the NLA or RLA. If you’re using an agency, do a quick background check on them too, just to validate them. Landlords that are members of landlord associations sign up with the intention of securing a fair regulatory and legal environment for both the tenant and the landlord. This can be an important factor in committing to a property, a landlord and a contract. Fortunately, through Campusboard we verify all our students by giving them a blue badge to save you the hassle of double-checking whether the property/landlord is legitimate. In the unfortunate case that you need to report a fraud, check out how to do it with all the information on how to do that. Do you have any tips that could help other students avoid rental scamming? Have you had bad experiences with landlords? Share them with other students in the comments below!